We were blown away by the serenity, the close-to-nature experience, the sound of the river and the enchanting, private garden. Dining alfresco on the wooden elevated deck was a lovely experience. The Garden Suite is a TV room that doubles as a fourth bedroom, but as there are no TVs/DVD players anywhere else in the villa, the occupants of this suite may not have as much privacy as they would like. Villa Alamanda is a very nice property, with spacious bedrooms and the pool area is lovely. The staff is excellent and we had a very enjoyable stay there. Note that there is no attached common sitting area, and that the pool area is removed from the house itself, down a level and around the corner. It is very lovely though. The staff is wonderful and Ibu Made prepares the best food. This is our second visit to Alamanda and once again we had a fantastic time. Everything about this little gem is delightful. The personal yoga classes, spa treatments and massages, the wonderful cooking, the beautifully kept grounds and above all the STAFF. Without the staff it would be just another lovely villa. We were made to feel very special and cared for. 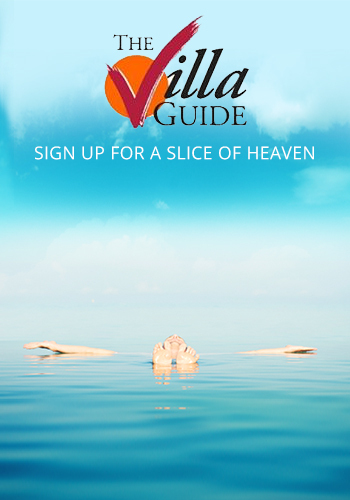 We also love the fact the villa is outside of Ubud in a working village so we can soak up the sounds and atmosphere. Cant wait for an opportunity to return..
We loved staying at Villa Alamanda, everything was great. Very minor comments include one bedroom's aircon could have been a bit cooler, but it is being replaced early October and in our group we had an elderly person, so the bathrooms provided a bit of a challenge since the (lovely) showers were over deep baths with steps. We stayed as an extended family in Ubud for a wedding at another venue and Villa Alamanda was like a luxury home away from home, with all the attention and more of a resort, but we had it just to ourselves. The staff are amazing and the cook Ibu Made is incredible - the manager was really considerate and I would highly recommend this amazing place to anyone wishing for peace, quiet, attention, a wonderful pool and gardens and just an fabulous experience. Thanks very much to all. A fantastic start to our first time in Bali. The villa lived up to our expectations and we would highly recommend this. The staff were fantastic and very attentive. The booking agent was extremely professional and organised. Highly recommended. Great location and outstanding service, including indonesian cooking and driving service. Our holiday has been magic. Ibu Made and staff make this villa just the best place to stay that anyone could imagine. 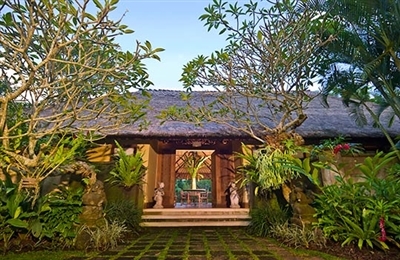 The location is excellent, just a few minutes drive into Ubud and sitting peacefully on the side of a hill. Very quiet, clean and relaxing place to stay. The pool is amazing and our children had a lot of fun swimming and playing in the water. Don't bother eating out as Ibu Made and her team are amazing cooks and will provide anything that you ask for. We are a group of 4 adults and 4 children and everyone's food needs were looked after. I highly recommend this villa for families. Great place to spend a week in beautiful Bali - within the gorgeous village of Tengulak and only 15 - 20 mins away from the great shopping and restaurants of Ubud. We really enjoyed walking around the village, visiting the local school and temples. Can't recommend highly enough - all meals top quality, all staff were amazing (thank you Made & Ibu Made). We will be back. Villa Alamanda was wonderful. The setting is beautiful with a jungle backdrop. The pool area is particularly attractive and totally private. Bedrooms are tastefully presented in Balinese style and the dining area is under cover on the verandah overlooking the jungle. The staff are friendly and available when required, never intruding on your privacy. The food cooked by the chef is prepared with fresh ingredients sourced from the market daily and represented the best Indonesian food we experienced in Bali. We were a family of 7 meeting for a reunion and could not have asked for more. I would have no hesitation recommending this property for those seeking an alternative to boring generic hotels. Villa Alamanda was great. The villa itself was beautiful, and the staff were amazing. Ibu Made's cooking was an absolute highlight of our trip to Bali. We have arrived home recommending Villa Alamanda to friends, family and work mates as a great place to escape to. Nothing was too hard, we were organised without being intruded on. Everyone loved the pool for swimming and hanging out. As friends with teenagers there was privacy and communal space and we thought it was great to have a tv space that was comfortable but not prominant. We stayed at Villa Alamando for three nights before we went to Seminyak for a week there in another house. We regret that we didn't spend moredays in Ubud and Alamanda. The house was great , the location likewise and the staff was excellent more than excellent actually, we had tears in our eyes when we had to leave. 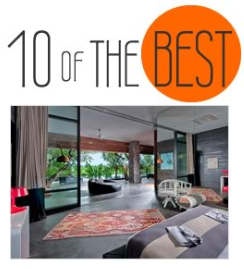 We have nothing but good things to say about Alamanda and can recommend it to anyone who likes to visit Bali. Really pleasant stay. Bedrooms were a great size, the air conditioning leaked in the master bedroom on the 2nd day but that was a minor thing. Bathrooms were lovely but baths were so big it would take forever to fill up given the water pressure. Would be good if there was a living space to watch TV/DVD that wasn't one of the bedrooms. The pool and surrounding area was the highlight. Stunning. Absolutely fabulous villa, exceeding our most optimistic hopes. All the staff, including the agents, were great - welcoming, helpful and friendly. Food in particular was absolutely fantastic. All round, could not have been better. This villa was a joy to stay in. Ibu Made and the team at the villa made our stay very special. Ask for Eddy the driver who took us everywhere we wanted. The whole staff went beyond the call of duty. We had a party at the villa during our stay and it was catered and decorated so beautifully. We would love to come back. One of the best Villa in Ubud to stay. Very charming and serene place.. I enjoy the place very much. Will be one of those beautiful memories & experience I have in bali..
We thorougly enjoyed our stay at Villa Alamanda and were disappointed it went so quickly! We loved the look and feel of the villa and the grounds. The grounds and the pool were so beautiful, we rarely left them. One of the biggest positives was the staff. Having the same set of staff consistently meant we felt we got to know them. Their level of attention to detail and their friendly attitude made us feel pampered and welcome. And of course Ibu Made's cooking!!! I'm afraid we worked her very hard, eating in every night because her cooking was so good! We would love to go back to Villa Alamanda when we can. This villa was a fantastic holiday experience. We had room to spread out or be together as a family. Everything was spotless and the staff were exceptionally well trained and hospitable. I highly recommend this for a family mix of 8 people. We had 2 grannies, 2 babies, a teenager and 3 young parents and it was great. Edi was our driver for 10 hours per day and he was brilliant. The laundry was done daily (even ironed!!!) if we dropped clothes in the basket. It is a great rest for a mum. villa Alamanda is à lovely villa in à beautifull surrounding. everything you need is available in the house. The very friendly and profesional staf is always there to help you. Ibu Made is a very, very good cook. She always comes with ideas for à daytrip and suggestion for an outstanding meal. As on Bali, the temperature is always nice, so therefor you do not miss the absence of an indoor livingroom as we are used to in Europe. The driver takes you everywhere you want. it is no option to take a little stroll from the villa into the neighbourhood. We would recommend this villa to everyone! Good villa for dry season, and staff were excellent. Pool was fantastic and days around it were well serviced. Massage service was excellent and well priced. We were extremely pleased with the villa,grounds and facilities,although we really could not comment on the kitchen as we had no real need to go there as the staff looked after every need in that regard.In fact it was Made and her wonderful staff that made our stay so memorable. based on 76 user reviews. This out-of-town villa is a little gem that offers the best of both worlds. On the one hand you will find all the serenity and peace that you would expect from a countryside location, together with the enchantment of a Balinese village, yet you are only five kilometres from the centre of Ubud, where there is plenty to do, including shopping, sightseeing, trekking, river rafting and eating out. The villa itself is romantic, charming and furnished with love, but don’t expect anything too high-tech or lots of fancy facilities because that’s not what Villa Alamanda is about. It’s more about rustic charm than funky architecture, and yes there might be one or two things that could be better maintained, but this is reflected in a very reasonable price. We found the staff to be efficient and friendly, and the chef’s cooking is excellent.